The newly established Top Cats Cattery in Estacion Los Barrios, promises to Look after you cats creature comforts and with an impressive array of features all geared to catering for your pets comfort, this is undeniable true. The cattery was designed with the guidance of a local vet, to provide a safe, secure and stimulating environment. One unique feature is the individual, outdoor mezzanines; these are rarely found in other catteries, yet offer an important change of scenery, which helps to relive boredom. A combined heating/cooling unit ensures a constant ambient temperature at all times. 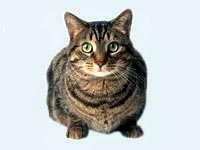 Special diets are catered for and cats requiring convalescence, with or without treatment, are also welcome, plus a collection and delivery service is available, as are carriers to transport your pet in safety. If you truly care for your pet and want to be assured of its wellbeing in your absence, then this is one place where you would feel confident that your cat will receive the best possible treatment.